Ready to take your TRX training to the next level? 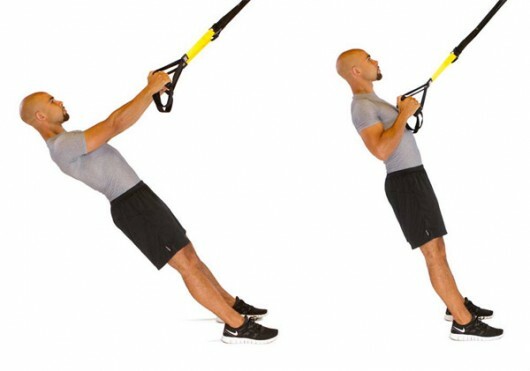 Build Navy-SEAL-worthy strength with this insanely effective 30 minute TRX workout. Adjust the length of the TRX to about mid length. Grab the handles and make sure that your elbows are sticking to your sides. Extend your hands forward as you squat down using the TRX as little as possible, mainly for balance. Squat down as much as you can while making sure that you maintains the alignment between your hips and shoulders. Do not pull on the TRX on your way up and let your legs do the work. To make it more challenging, do it faster and add a little bit of a hop on your way up. This makes you burn more calories and sweat a lot more. 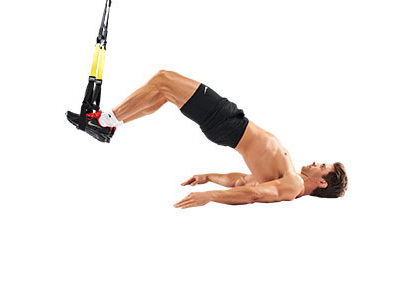 Pulling on TRX when getting up or down. Beginners can squat with one leg and extend the other forward with just the heel on the ground. The posture is going to be the same as well as the arm placement as the TRX squat. Using just one leg also engages the core muscles for balance. For more advanced trainees, you can lift the leg off the ground a little bit and squat down and hop a little on your way up for a more challenging set. Go ahead and do it for 60 sec then change the leg. Bending at the waist too far forward. Put your heels on the lower cradle of the TRX. For beginners, while keeping your hips on the ground, pull your knees up as far as you can without lifting your hips off the ground. If you want some challenge, keep your hips and tailbone off the ground all the time. When your knees are at their highest point though, hold your midsection and upper leg aligned. Your hands and palms should be flat on the ground. Keep doing this for 60 sec. As a variation, you can get your hands on your chest or straight up with your palms together. Moving more with your lower back than knees. Keep your feet together and your whole body should make a 60-degree angle with the ground. Grip the handle just below chest level then extend your arm until they are straight. Then pull your body back to starting position. Stay stiff as a board to engage your arms and back muscles as much as possible. To make it more challenging, you can lift one leg a bit to balance your body on just one. This engages the core even further in order to balance your whole body. Be sure you are keeping the right technique. The closer your feet are to the anchor point and the lower angle you have with the ground the more challenging it is. Sagging rather than engaging the core. Use the same form as the body row but this time, instead of pulling your body up, do a reverse fly by extending your hands out to the sides which works your shoulders and mid-back muscles (rhomboids). This is especially useful for people who work at the computers a lot. Put your foot flat on the ground, stand on just the heel to make it more challenging. For beginners, try to use a higher angle with the ground with your feet a bit farther from the anchor point. The closer your feet are to the anchor point, the more challenging it tends to be. Always make sure that you do some stretching prior the workout. Begin the move in the right position to keep the tension both in the straps and body throughout the whole movement. Begin at the end range of the motion to find out how much tension you need. Maintain tension on the straps throughout each movement to get more out of the exercise. Keep the straps from making direct contact with your skin to avoid scrapping. Be mindful of your body’s alignment to engage the whole core. Avoid sawing (moving your body back and forth) during the hamstring curl. Eager to give TRX a try? 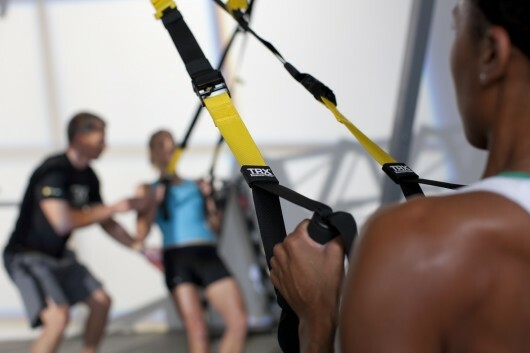 We love the TRX Training Bundle (and here’s more from TRX).